Prime Minister Imran Khan on Friday granted approval for the launch of a new private airline from Sialkot International Airport. 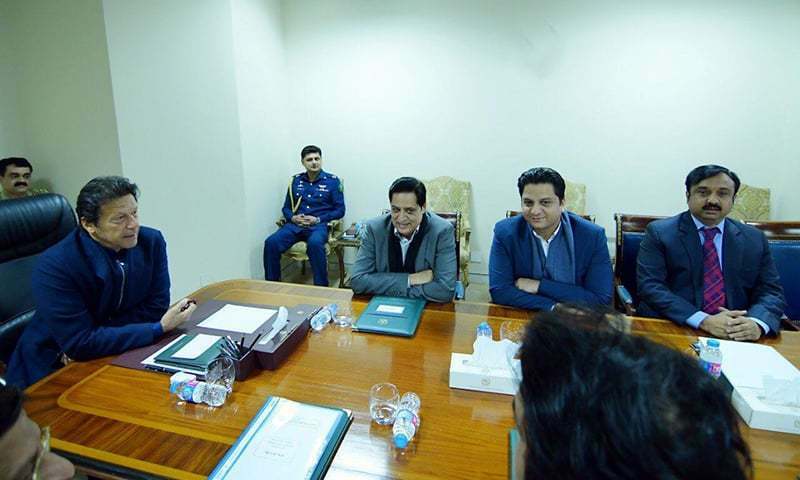 Special Assistant to the Prime Minister on Youth Affairs Usman Dar, AirSial Chairman Fazal Jillani and other members of the local business community met with the prime minister and Minister for Privatisation and Aviation Muhammad Mian Soomro in Sialkot, Dar told DawnNewsTV. 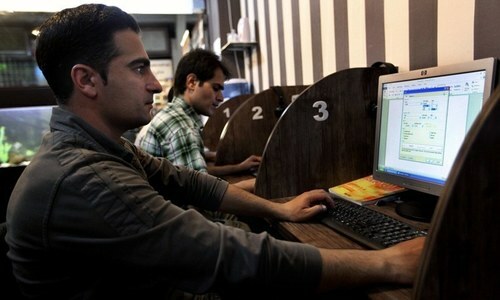 The airline is to be launched through cooperation with local traders and businessmen. 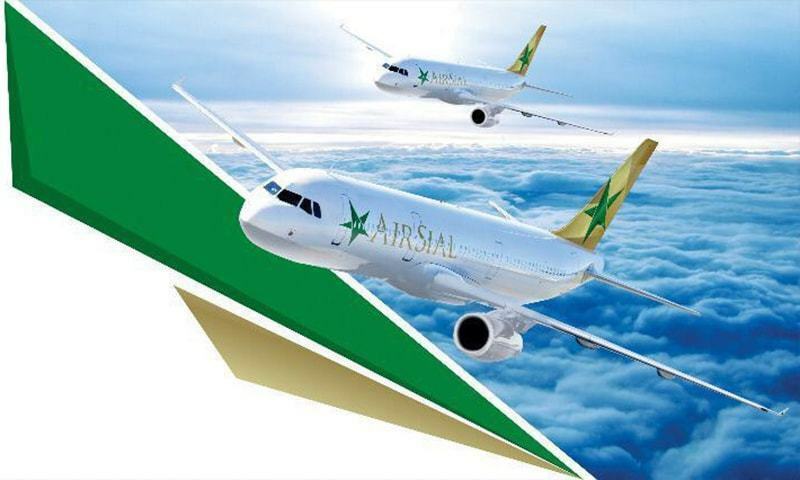 The chairman of AirSial said the airline would become operational within the next year. The businessmen thanked the premier for the government's assistance in the launch of the airline. The prime minister remarked that Sialkot is fast becoming a major hub for investment and that the government would provide additional facilities to the area. "The airline's launch will create jobs and stimulate business activity in the region," the premier said. The business community in Sialkot in 2009, after establishing the international airport in the export hub on a self-help basis, had decided to launch the airline to provide a cheaper travelling facility to the region's traders along domestic and international routes. The Sialkot business community has also planned to set up a food and vegetable processing/packing centre close to the airport to boost exports. Exporters in Sialkot, in addition to construction of the airport, have also completed the construction of a dry port, export processing zone, small industrial estates and inter-city roads on a self-help basis under the city development package. Good venture to un-do PIA. Great Step. It will improve PIA profitability for sure, just like British Airways operation will help PIA. i guess PTI is competing for country most disliked party. What does the PM have to do with approving airlines? This is considered as major approval? The airport and airlines already begun their paper work in PMLN era with grounds and other approvals like investment already granted. The positions were also already announced in PMLN era like for in finance, HR, crew members etc. Way to go that PTI now liking PMLN work. Final approval for a new airline comes from where? Please educate us. So many rich people - just open up private air line like that! Thanks to PMLN for allocating land for airport first and than approving the airlines way back earlier in 2018 for registrations etc. the final approval with PTI and stalwarts be like oh wow great. Its tiem to reflect that how wonderful PMLN did work from Exxon to Wolkswagon and others and many other investments that PMLN brought. Great move by the talented business community of the legendary city of Sialkot, Islamic Republic of Pakistan to start its own airline. Kudos to the Sialkot Chamber of Commerce and Industry (SCCI) and Sialkot International Airport (SIA) for leading from the front and evolving an amazing "City Development Package" on self-help basis to convert the famous and historic City of Sialkot as one of the top metro areas of South Asia. Well done and keep it up. This is good. We need fresh airlines with new people. Pakistan has excellent people for the airline business after all most of the GCC airlines got their start and training right here by the Pakistani staff, starting with the biggest of GCC airlines Emirates. @Khan, It's not really a PTI initiative. Sialkot exporters are literally doing this on your own - the State has failed to the extent that local businessmen are grouping together to ensure their city succeeds. Very good hope fare will be reasonable compare to PIA air blue and other airlines. Good decision by Imran Khan. It would have been impossible to get a decision through bureaucratic channels. Excellent opportunity for business community to develop facilitie. They can also have shuttle service to service other cities through this airport. Why does the prime minister need to approve the creation of a private airline? This is not normal in other democracies. An initiative by the industry itself and building of roads etc. is the need this country can do with. @Fareed, these people will buy 50-years old planes - and inexperienced pilots. Safety hazard! Maybe best as cargo airline. While this is good step for Traders/Businessmen to have their own dedicated airline for their business related activities instead of relying on other Airlines for Cargo/Export etc, However, it will start another debate - we are likely to hear soon that Business community in Karachi and Faisalabad would be demanding to allow them to have their own Airline service. Good decision, but is there any airline making profit now a days? First good thing I have heard about investment. Let private entrepreneur run this air line and make name for Pakistan. People of Sialkot are different from other cities. I don't want to make comparison with another Pakistan industrial city that can not match the progress of Sialkot. I do not know Usman Dar or Khawaja Asif but manufacturer of Sialkot should be facilitated.in such a way that exports of Sialkot should be enhanced. Along with Sialkot people of Gujranwala, Wazirabad and Gujrat should be facilitated to enhance exports.People of these areas have the talent and potential to increase exports or for that matter build local industry. I have seen circut breakers imported from Indonesia. Such things can be manufactured in Pakistan. This is great initiative by Sialkot business community and it got nothing to do with any political party including PTI, PMLN or PPP. A year is too long, start this within three months as air travel business is booming and sooner to get into it is better. Such patriotic investors and people from Sialkot except Khawjah Asif. This is not an initiative bY PTI... it is effort of Sialkot business community..
Well done Kaptan. People love you. Sound strange that Karachi's business community is not thinking about taking similar initiative. What planes will they have? Ex PIA ones - if so avoid like the plague Dry/Wet lease second hand planes - if so avoid like the plague again New planes from Airbus / Boeiing - now we are talking ! Already progressing so fast under PTI. @ Irfan - PIA profitability down because of bad management, and excess hiring. Competition is good. As far as I am concerned if another airline gives me better service it deserves my business. Saving unprofitable institutions should not be govts responsibility. Privatise PIA. @Tamza, yeah and will runaway like shaheen owners. @Irfan, "just like British Airways operation will help PIA". When almost no other airline was coming here then PIA should have been the most profitable, by your logic. But it wasn't, it ran massive losses instead. Do other countries only allow their own national carriers to operate? @Realist, nonsense. Venture needs go ahead from gov't first. @Islamabad Morning, Sure. PMLN intiated many project during their tenure. Including Gas, Elec, water dams etc but how many did they actually start or complete? None. Because they were too busy eating commission from bus and train schemes in lahore. Only pti will realise peoples dreams. Some other airlines are under approval specially for the Northern areas destination, it will boast up tourism. Long awaited plan. Sialkot is a great success, leading by example of 'self-help' by its entrepreneur business community. In the absence of the central (past) government's almost zero input to the success of the city is indeed a great achievement which could be emulated by other cities and PTI is giving its blessing! Success of airline business is linked with the growth of overall economy without which many wouldn't have a reason to fly , a necessary ingredient for any airline to stay afloat. Initiative by a few rich though welcome but may not translate into a success for an airline. Anyways a welcome step. Goodluck from an Indian. @Khan, It's NOT an initiative by the PTI government. Rather, it's a venture by the businessmen of Sialkot. It has been in the planning, groundwork phase well before the PTI government assumed office. @Zak, This has nothing to do with PTI. The Sialkot Business community was thriving under the PMLN who gave labd for the private airport built at Sumbrial. Since PML N was business friendly, Sialkot exports and industry has improved and this provate airile idea has been floating around for a while and has nothing to do with PTI. If anything PTI is hurting the economy and the overall market since they have no plan and are dithering on the economic front. Must have some stake/shares in it. Everytime someone becomes a PM in Pakistan an airline is used. @Miraaj, yes this might have been started during pmln tenure but can u give credit to PtI for seeing it through, they could have sabotaged in order to say PmLn did nothing in their term but they are honest and work for Pakistan rather than themselves - agreed? This airline, I assume, will lure staff from PIA, and will create healthy competition bringing down the air fares and increasing air travel within the country. It is a new step that private investments are being directed towards this cash intensive sector. Great to see Government is facilitating local business community and trust business community has in current government! Love to see more this sort of initiatives! Sialkot has another feather on cap. 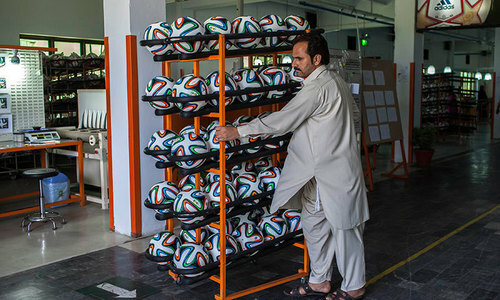 Sialkot had been exporting best high quality Sports goods, Surgical instruments. And many high quality sundries. Other cities delivering are Gujranwala, Gujrat, Faisalabad. Punjab as a whole is delivering highest figures in exports. There is a wrong concept that exports figures are highest from Karachi, in fact Karachi is an export house of whole Pakistan, but indirectly & ultimately the remittances went to manufacturers in Punjab. Only now the Karachi based exporters and businessmen feel a sigh of relief, after crushing the ransoms dons criminals having support from Sindh based politicians being hand in gloves with ransom criminals. There are many Cottage Industries sites in and around Karachi, but the land grabbers and corrupts in administration, never let it flourish. Now a ray of hope is seen after CJP took action against land grabbers, gradually the money launderers list is viral. Actions & Development must proceed simultaneously. Please fix PIA. That is government airline that is where the focus should be and not on private airlines. Government is not a private enterprise or entity. That's awesome. Sialkot people, I am very very happy for you. And other cities can learn from this example. Wish the enterprising minds of scci n sia best of luck. To reach these milestones in the way of self helped projects, lot of struggle has been done over decades by the initiators n developers. One earnestly hope that caa of Pakistan, being an aeronautical authority n regulator of national civil aviation activities would extend its fullest cooperation n technical assistance. My heartfelt appreciation for scci n sia. Very good move by enterprising Sialkot. Self help is the way to go. If you can successfully built an Airport , you lot can built a successful Airline as well. Just copy the low cost model of any European Airline and you will be good. Also built some aviation training facility to earn some money to facilitate other programmes. I am very happy for Sialkot. This city has done very well given the tough circumstances that exist in the rest of the country. Best of luck. However, I don't understand what PM of Pakistan has to do with approving an airline? Does he have to approve every single business that gets started in this country? Everyday something new and positive from PTI .. well done all those involved in this venture! @Islamabad Morning, what is wrong with this govt liking something positive the previous govt was doing? Or you do just need to find fault in everyrhing that is being done by PTI? If PMLN had already laid the foundation for this good for PMLN! Even corrupt leaders have to do something positive in order to carry on thier corruption! Absolutely. All hail the great Nawaz. Just the way that CPEC was all PMLN or was it? We salute and applaud the people of Sialkot for being leaders in exports. They built the airport and are now launching an airline. Our politicians and government can learn from their extraordinary success, their vision, dedication and commitment to excellence. They have made the country proud. Approved. No red tap. That is how things should work. @Irfan, have keeping monopoly helped PIA so far. It is one of biggest drag on the nation treasury. Musharraf gave them airport and Imran approved this long waiting airline. I hope the standards set are high when it comes to the management, the people who will be working for the airline, and above all, security and safety. Since the government is assisting in this business venture, the bar needs to be set high. @Khan, PTI Government has nothing to do with the new airline except giving a ceremonial approval instead of the Aviation Ministry. Is it not the job of Civil Aviation Authority to approve new airlines charters? Why PM and the president has to get involved into this? @Islamabad Morning, Troll spoil alert! What PML(N) has to do with that? Nothing.. zero. It was Gen Musharaf who allowed that project. PML(N), PPP and PTI only rode along. Actual work was done by people of Sialkot. The Sialkotis are a real example for every city of Pakistan. You can do anything if you want to do it. @AK, Fantastic debate. In EU and US, cities and private companies have airline why not Pakistan. @Humza, Odd, when things are bettering, its because of past corrupt governments. Business community has come out with confidence because they know, no one is going to ask for a ‘cut’ in the business. Pakistan is already thriving on a positive feeling by the populace. What PMLN did was just to fill their own pockets, just like PPP. All has been revealed. The rest is just a mirage, an illusion! Congratulations PM Khan for helping expand airport services from Sialkot. It will be a boost for business and industry. But has any government decision maker, whether military or civilian, realised that Allama Iqbal Airport and Sialkot Airports are too close to border with India. These can be shut down almost instantly in case of conflict with India. Good initiative.The Govt needs to take steps for inclusive development of the country & for all this peace is a pre requisite. Those indulging in activities for destabilising the country should be dealt with a heavy hand.Pakistan needs to start a new chapter of good governance & peaceful coexistance among all religious entities as also with its neighbours. We have the ability to accomplish unbelievable tasks provided we have sincerity in our hearts and minds for moving forwad. Sialkot is poiner in initiating such projects that could prove extremely vital for both the local businesses and our country. This is not a proud moment. Is a clear indication that there are no competent airlines to provide service and business community need to look for alternatives. SCCI must focus on developing industries and increasing efficiency rather than worrying on operation of an airline. Private airlines lack scrutiny of safety standards! National carrier should be strengthened! Government helping private companies in launching airlines while existing airlines owners were called in the courts and not allowed to work. May be PTI people airlines. 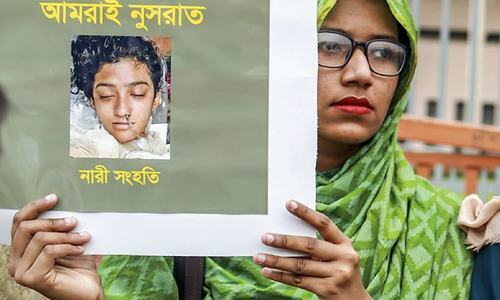 @Omer, so what do you want the Govt to do ?. Not start any new Projects ?. @Miraaj, Can't help but wonder how much money PMLN members made to get the ball rolling and how many have invested in the project. This is very unusual development. I hope there are no nontax filers in the board of directors. A new airline requires lot of foreign exchange and heavy capital expenditures. Perhaps NAB should be asked to check them out before this gets out of control. Starting an airline is a very capital intensive project. The financiers and sponsors better have very deep pockets and lots and lots of money. To the tune of at least 200 million dollars ..
It’s a good idea to increase economic growth in small cities , similarly it should be done in other provinces. I hope the pilots have genuine degrees and have been vetted throughly considering the latest news about fake degrees of PIA pilots. How do you make a millionaire?. Take a Billionaire and buy him an airline.